Some of you know. Some of you have seen. Some of you have experienced the power of music in your own life, or your children’s lives, or the lives of those to whom you are close. Perhaps you haven’t had the privilege of seeing music change a person’s life one step at a time. Perhaps you never had the opportunity to learn an instrument yourself. Maybe you had bad experiences; teachers who shamed or punished you. I hear that many have terrible memories of the recorder…that’s a shame, especially if music was something you desired to learn. Below are my thoughts on why music is important in learning. There is an ocean of research available for those who want more data. Neurobiological evidence keeps coming at us. 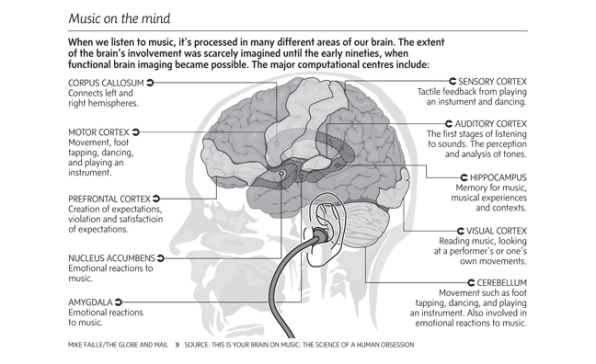 It shows clearly that music is unique in how it affects the human brain. Speech and music are interconnected – they share many processing systems in the brain. Musical experiences that enhance processing (such as learning to play an instrument) also impact students’ abilities to learn to read and assist many mathematical abilities. 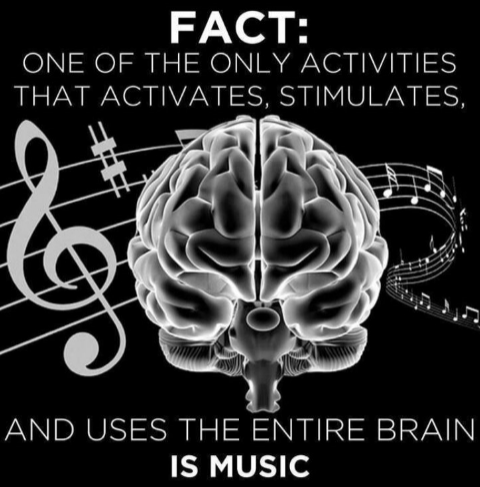 Neuroscientists have found that playing a musical instrument engages practically every area of the brain at once; visual, auditory and motor cortices. These brain functions are strengthened and can then be applied to other areas. Arguably one of the greatest minds, Albert Einstein was an accomplished violinist. “I often think in music,” he said. I suggest watching Dr Anita Collins’ ‘How Playing An Instrument Benefits The Brain’ video as a starting point to find out more. *increased resilience (they bounce back from problems more quickly and easily). *increased ability to deal with anxiety. *increased likelihood to make healthy life choices. *better team work skills as they develop an appreciation of working towards shared goals. Einstein also said, “I know that the most joy in my life has come to me from my violin”. I haven’t always taught music. I have taught the ‘Three R’s’ and the rest. I’ve even taught swimming (thank you Austswim!). Although teaching at the beach is great, music is my favourite. As a musician, classroom Music specialist teacher, instrumental music teacher and choir director I am fortunate enough to be in a position to see what it does for people every day. *Some people have natural ability. Some people have passion. Some people have natural ability AND passion. Some people have only a small amount of either. Music benefits all of these students. *Fear keeps some people away from full participation in music (especially as they enter the pre-teen years). Fear also keeps some educators away from singing or playing an instrument with their students. It’s well worth beating that fear. Pick up your guitar. Sing a song each day. My Year 7 teacher did this and it changed my life. *Music lights people up. It carries meaning. Music unites people (see the Singing Revolution of Estonia 1986 – 1991). *It’s never too late to get involved in music. Currently I teach students aged between 5 and 76. Music benefits all of them. So what are you waiting for? Adding some music to your day can only improve it!